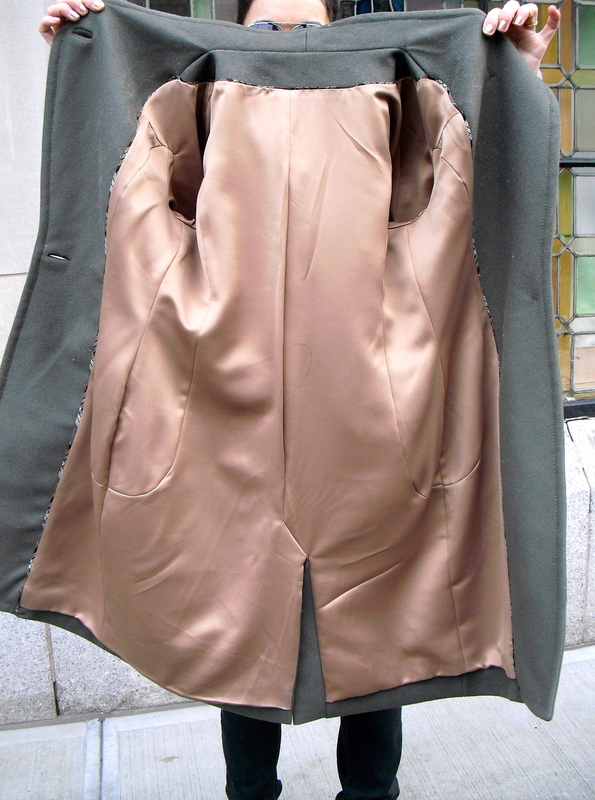 For the final project of my third semester of the Draping Certificate at FIT, I looked at a lot of coats. I scoured the internet and visited Saks and other department stores (sales attendants are so nice, they let you take pictures of every detail pretending they don’t see you)! Finally, I fell in love with this coat from Reiss. I even went to the Reiss store to try it on and get a closer look at it. On the advice of my professor I changed the seam on the hip line to avoid acentuating that horizontal line and instead curved to meet at the side seams and used this line to conceal the pockets. I like it as much closed and open. 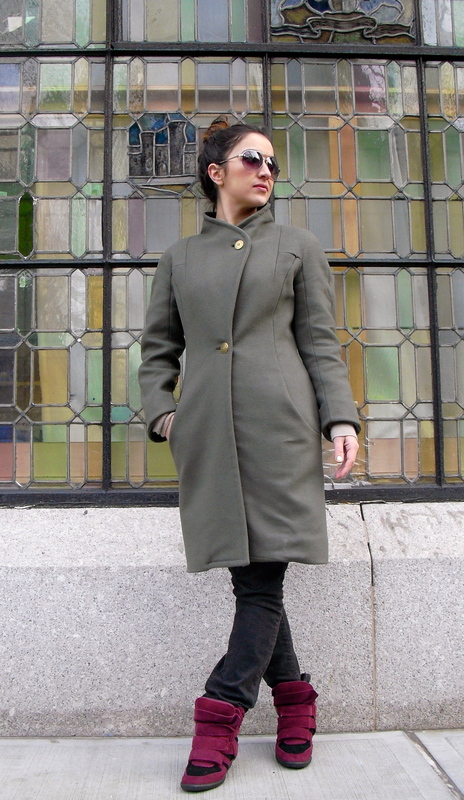 The olive wool is Marc Jacobs from Mood in NYC (similar to this one and also still available online) and fully professionally fused in the Garment District with weft from Guide Fabrics . The gold lining is also from Mood. 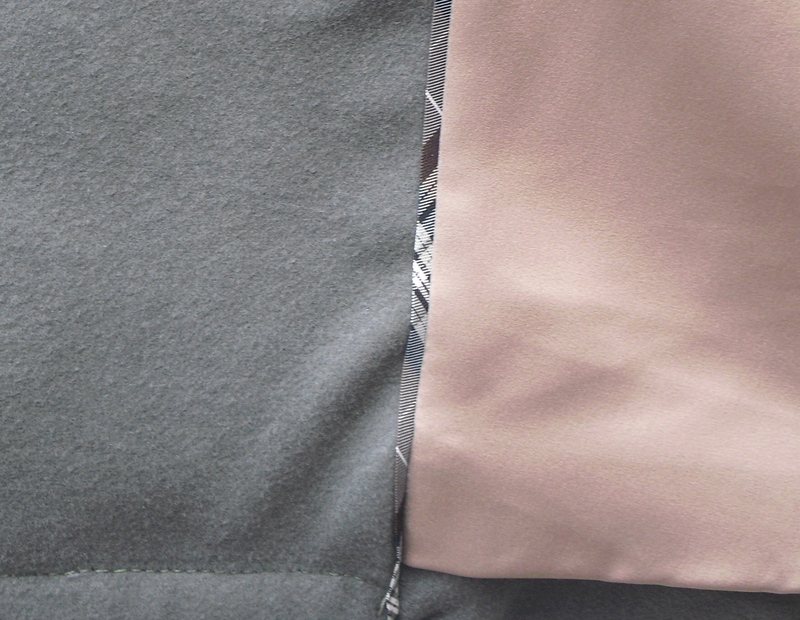 I used the technique described on Fashion Incubator to bag the lining and make a clean finish of the vent and the junction between facing and lining. Piping and buttons are from M&J Trimming. 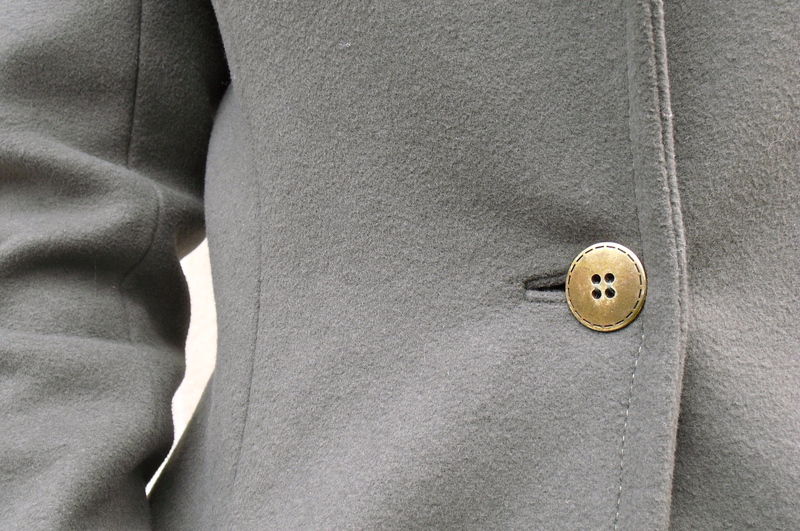 This coat is really nicely made ! I love the addition of pockets in the princess seam, i had been thinking about doing something similar on a top. Great Job! Wow, what a fabulous coat! And I love how you hid the pockets. Great work!